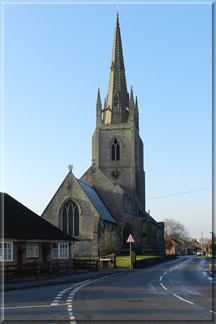 Around 7 miles south east of Sleaford, nestling quietly between the A17 and the A52, three miles south of Heckington can be found the village of Helpringham. There is evidence of the existence of a village here, dating back to Roman times and there has undoubtedly been some form of settlement in the area well before then. The imposing 13th-14th Century St Andrew's Church, is the visual focal point of the village, there is also a small village green and traditional pub. A Post Office and general store can be found further along the high street. The village has a conservation area and several Grade II listed features including the "Red Bridge", a village pound, three houses and 2 places of worship. Plus a couple of ancient sites just outside the village. This site is aiming to provide information about our village including activities and events and hopefully a community information point.The site is in its very early stages at the moment, so please bear with me as it develops.